Swedish Beers: Ping Pong Robot, prizes, fundraising and more at Swedish Beers tomorrow night! Ping Pong Robot, prizes, fundraising and more at Swedish Beers tomorrow night! Not long to go now until the next Swedish Beers bash in London. We'll be back at the Nordic Bar, our favourite London haunt, and as well as the usual chat, drinks and mingling, we will also have a Ping Pong Robot competition to raise funds for Bloodwise. We're busy sorting out the prizes for that, but I can confirm that two of them are these latest release books. 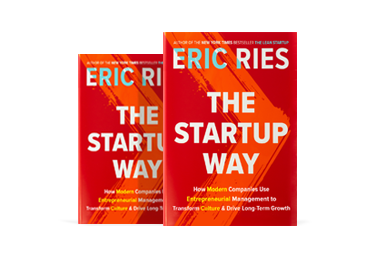 The first is a copy of The Startup Way by Eric Ries of Lean Startup fame. I heard him speak at an event last week and wrote a few thoughts about that over on my personal blog. I managed to come away with an extra copy of the book which will be one of the prizes tomorrow night. The other book that's up for grabs tomorrow is Rough Diamond: Turning Disruption into Advantage in Business and Life by Nicole Yershon. We will also have some collection buckets, so please bring your small change - every coin counts. Or you can text in with your donation (UK only). Text BEAT01 £x to 70070 to donate to Bloodwise. 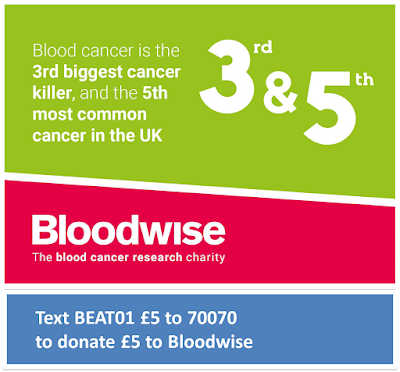 The amount can be edited so that you choose how much you wish to donate, so if you're donating £5, then text BEAT01 £5 to 70070 or if you'd like to donate £2, then text BEAT01 £2 to 70070 - you get the idea! The guest list for tomorrow night is shaping up nicely. If you haven't already registered, please do that here. Entry is free and we'll have free drinks courtesy of Kindred Capital and Inspiring Interns for as long as the bar tab lasts. Everyone working in, around or interested in the mobile industry from a professional or academic point of view are most welcome. Do spread the word with your friends and colleagues.